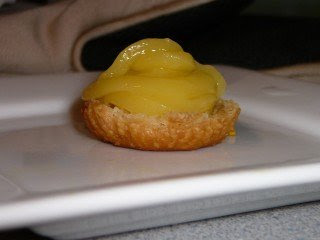 This is yet another combination of lemon curd and this time, puff pastry dough, which I had left over in my freezer. I think I prefer making pate sucree dough however, it goes together better with the filling. And I piped some of the curd with a pastry bag, but I think the nozzle is too small. A larger diameter nozzle would have looked better.